I'll never forget the summer I spent listening to The Joshua Tree over and over and over again, never losing the feeling that I was tripping through heaven with each replay on my Walkman. Even now, "Red Hill Mining Town" has a way of lifting me into the third heaven like few other pieces of music can -- be they sacred or secular. I love the idea of the Sacrificial Lamb. I love the idea that God says: Look, you cretins, there are certain results to the way we are, to selfishness, and there's a mortality as part of your very sinful nature, and, let's face it, you're not living a very good life, are you? There are consequences to actions. The point of the death of Christ is that Christ took on the sins of the world, so that what we put out did not come back to us, and that our sinful nature does not reap the obvious death. That's the point. It should keep us humbled… . It's not our own good works that get us through the gates of heaven. Time to go play Achtung Baby. I was at that concert in '92. It seemed like they phoned in that whole show. After being forced to sit through Public Enemy's set, I was really looking forward to something amazing and it just didn't happen. Bono seemed a little too wasted to be bothered with connecting with the audience. Don't get me wrong, it was a good show, but just not what I had expected. I hope I get a chance to see them again in a smaller venue. Legion Field was a little big I think. Ditto, ditto, ditto. And the "hanging the Klansman" theatrical stunt during Public Enemy's show freaked me out. Not only are the acoustics CRAPPY at Legion Field, the place didn't get nearly as full as it should have. I also saw Pink Floyd there during the Division Bell tour. That show was excellent! Just came across this post, and it's funny because I've been finding myself the odd man out on this topic lately. Since ZooTV was my first opportunity to see U2, I loved that show. The whole experience, even Legion Field, was otherworldly to me. I thought Public Enemy was amazing as well. However, I have a good friend who recently took me to see them at Madison Square Garden for my birthday, and she said that she hated the ZooTV tour and albums so much that she stopped listening to them for a long time. But, I suppose if you saw the Unforgettable Fire tour, maybe ZooTV was a little daunting. I guess I'm just less selective about the works of artists I really love. I don't care if they don't do what I wanted them to. I try to figure out why they did what they did, and love it that way. Maybe that's silly though. Great post. 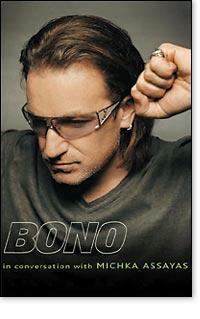 Bono never fails to impress me. You must've had way better seats than I had, Carol. From where I was sitting, it sounded like I was listening to the concert through very cheap speakers with the sound turned all the way up. The distortion and fuzz were horrible. I guess after *camping out* all night in 40-degree weather outside of Boutwell, I'd not only hoped for better seats but for a better experience. Glad someone enjoyed it! Nevertheless, Bono still rocks majorly.